This hub will convey information that I, an amateur prospector, have learned about the location of placer gold. Believe it or not, it took me quite some time to figure out how to increase my odds of finding placer gold. 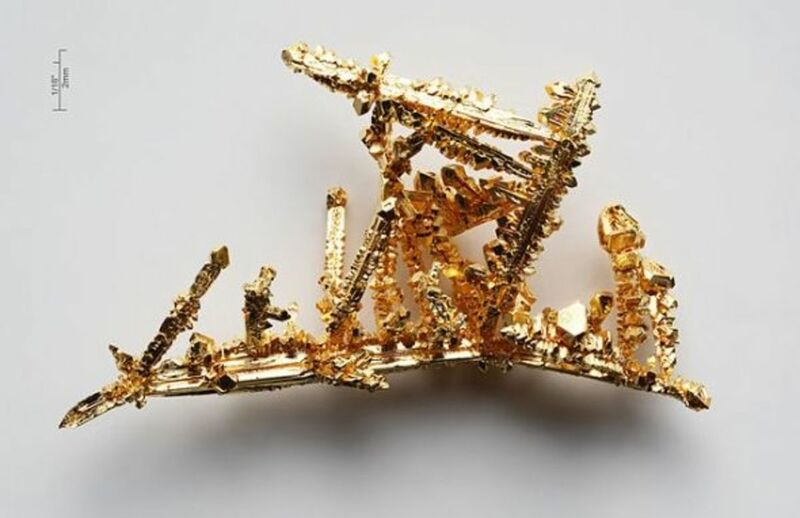 Due to the fact that discovering gold is an exciting prospect, people frequently delve into the activity simply digging, most often near a bank, at a claim where gold has been found before. 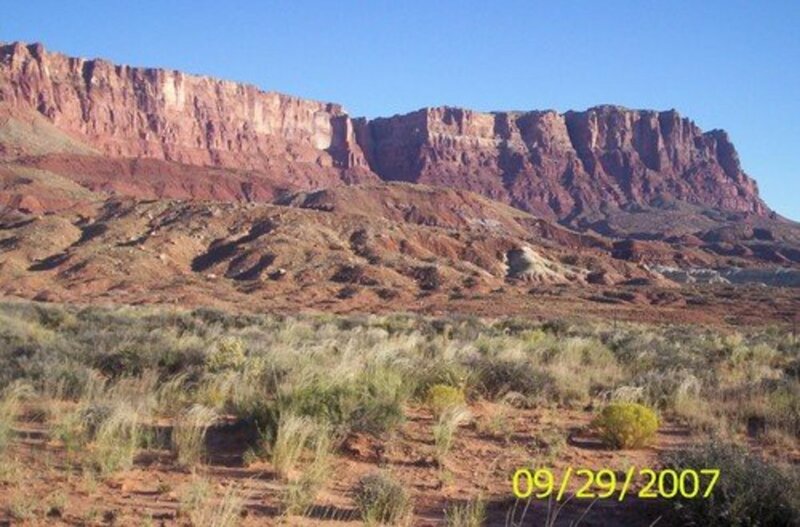 Usually it is after several trips that the neophyte realizes that there must be more to finding gold (even at a location that has produced gold) than simply digging. Well, the good news is that there is more to it. 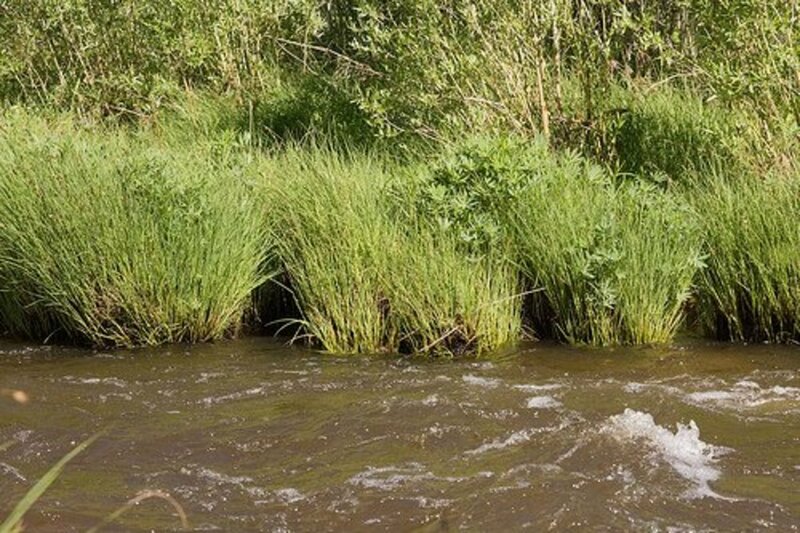 The first piece of information you need to understand is that the placement of gold in stream beds is based upon the speed and volume of water that can run in rivers, stream beds, or creeks. Gold is 19 times heavier than an equivalent volume of water. It is about 6 times heavier than the solid material flowing down from higher elevations in rapid water as a result of melting snow pack and rain. Realizing how heavy gold is will lead you to the next fact about gold depositing. 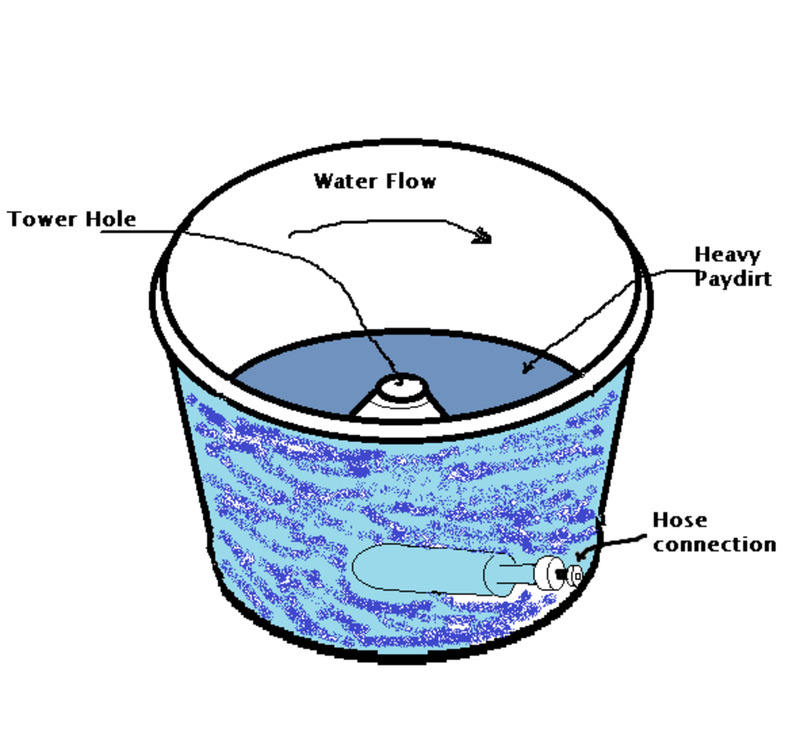 When rapid moving heavy waters pick up gold flake or nuggets and takes them down a watercourse, anything that slows the current down gives the gold a chance to settle out and sink to the bottom. When you get to the site of your claim, many times near a stream bed or ancient waterway, look upstream. Analyze the twists and bends as water would come toward you. One of the first things you look for is some kind of obstruction to the flow of water. An example that all prospectors with a minimum of experience know of is big boulders. If you see a big boulder in the stream, especially if it is near a bend, it has slowed water. If you have looked at rocks in a flowing steam, no doubt you have seen eddies or swirling areas on the DOWNSIDE of rocks sticking up out of the water. That is because the water has slowed. As gold flake rounds the boulder it is heavy enough that the current no longer keeps it afloat, and it sinks to the bottom where it collects. Rocks under the water can act as barriers and stop gold flake also, but for a newbie, collecting material on the downside of an underwater obstruction is probably a bit beyond the true beginner's capability. So one place to start digging is the downside of a protruding big rock. The same is true of a tree with a sizable trunk which may be growing in a dry riverbed. Here we run into an ethical issue. If you are digging by the trunk you run the risk of damaging the tree. I follow this rule (and I have found flake behind trees). I dig but do not cut big roots. After I have removed material to wash, I fill in the hole. The government expects you to fill in your holes on federal claims, but not forgetting to fill a hole near a tree is extra important. In the Southwest where I explore, shade is an expensive commodity. As the leader of our club has often said, "A little shade from a healthy tree is more valuable than gold." Next, you must realize the common course of gold down a waterway. Think of a steam wandering down from a mountainous area to lower elevations. As the water makes its way, bends are created. When gold flake hits an INSIDE BEND, it slows down. 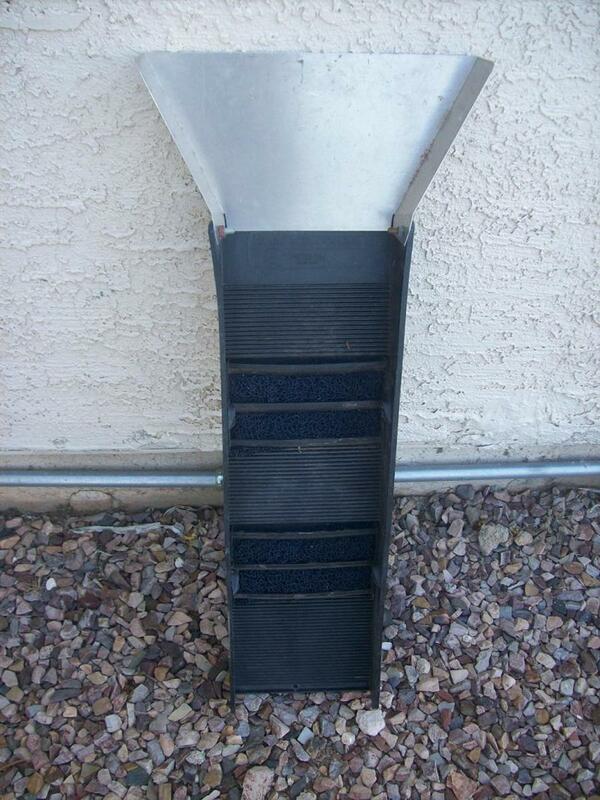 Frequently you will also find other heavy materials that have fallen out and formed a bar. The upside of a bar on an inside bend is a very good place to sample. If the waterway is dry, focus on where the water has caused a bend. 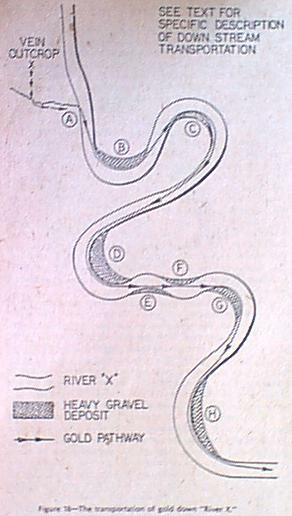 The OUTSIDE OF A BEND would be the area not protruding in to the stream (see drawing above right). If you see a lot of material like rocks and gravel on that shore, that might also be a good place to dig. In a previous article about panning at Marshall Gold Discovery State Historic Park, I found one flake and a tiny nugget (a small piece of quartz with a flake of gold attached to it). However, more often than not, the inside bend of a stream bed is the primo first place to look for gold. There are plenty of great articles on "how to find gold." The emphasis here will be, as I said, the amateur prospector, but also a prospector freshly interested in finding gold, and on a budget. Let's face it, mining equipment is rather expensive. I have found that one can have a lot of fun searching for gold with little more than a pan, 14 gallons of water, a tub to hold water, several buckets, a whisk brush, and a snuffer bottle. Are you going to find as much as someone who owns a $600 dry washer? Probably not, but there are a few people who own such equipment who do not even know what I have learned. And to make the introduction a bit longer (sorry) this information is for people who have decided to join a prospecting club. When you join, you are able to go to areas that the club has claimed. These areas historically have produced placer gold. For a newbie to simply go out into the wilderness to try to find gold is overwhelming. You need to know something about geology, you need to make sure you aren't on someone else's claim, you need to know how to use a GPS system or be VERY good with a compass, and you need the experience of an outdoorsman. Joining a club eliminates these considerations since you can go to the claims with a group, return another day with confidence that you are in the right place, and begin to learn the steps I am going to tell you about. The next point I want to mention has to do with the size of gold flake in a waterway. Since gold is heavy, once settling out it will work its way down through sand and gravel until it hits bedrock, or another substance referred to as false bedrock. 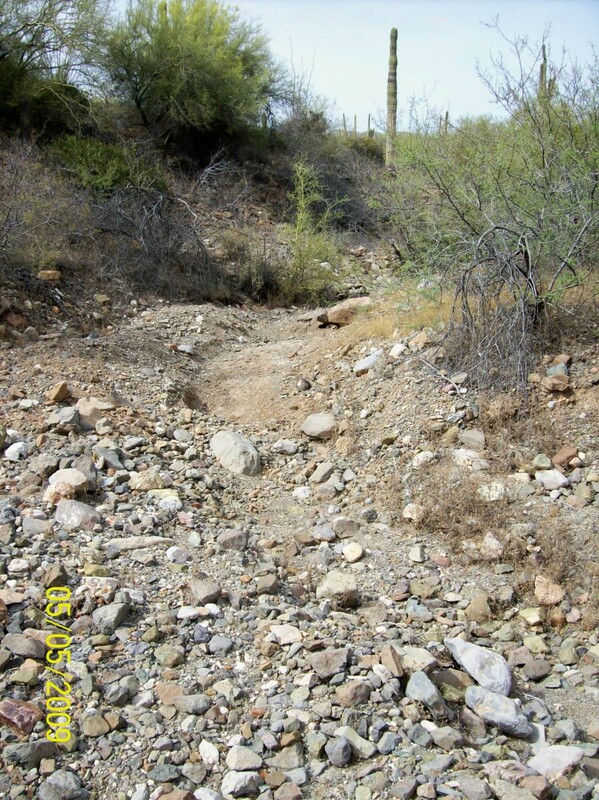 In Arizona, I have found that digging in an arroyo you frequently will hit something pretty hard. But if you hit it with gusto with a pick or shovel, the material will crumble. That is composite rock (rocks that have essentially been cemented over geologic time with calcium and other minerals to form a very hard continuous crust) forming a false bedrock. When you get to something like this, start digging out sideways and moving material away. The material coating the false bedrock is what you want. That is where the gold stops its journey through the stream bed. Using a whisk brush and a dustpan, save that material for panning. While whisking, notice any cracks or crevices which collect gold. Whisk them out or use a miners pick to crack the sides and sweep out material for panning. Now a consideration for using your time efficiently. Most of us have a limited amount of time to prospect because most of us have other responsibilities (even though the thought of living the life of a prospector may seem inviting). If you dig sparingly before you bring material back to your camp site for panning in the tub, you are using time to wash your material in the pursuit of gold. If you have already sampled these prime locations and found some flake, your time is better spent gathering "dirt". I usually bring dirt home (or concentrate I have not completely panned, ie black sand). I can do my final washing at my home at my leisure while having more material to pan. I only mention this if you really are interested in bringing home as much gold flake as you can. In the beginning, I couldn't wait to pan it and see the gold. Then I would snuff it. What I brought home was a snuffer bottle of material that I panned (which isn't much). Nevertheless, I found finding the bright yellow metal right away was more rewarding than bringing dirt home. Now that I have satisfied that feeling of elation on seeing "color", I bring dirt home, which theoretically should contain more gold! Now for another location to find gold flake (and maybe a nugget- it happens). I have noticed that if you are at an inside bend and you see a good amount of grass growing above, digging around that grass can be profitable. The grass acts as a sift and the heavy gold falls to the roots. Usually the flake you find there is very small (fine, sometimes referred to as oat gold), but there can be quite a bit of it. Of course, no rule for prospecting is perfect, but all of this gives you good places to sample and then dig for gold at a club claim. I have mentioned sampling a few times. When you sample you take material and pan it to definitely determine if gold exists. Mark that spot and come back to it or choose to dig there first. Most experienced prospectors will take an area and sample in several odds-on places, choosing to do their digging where they find the most flake. 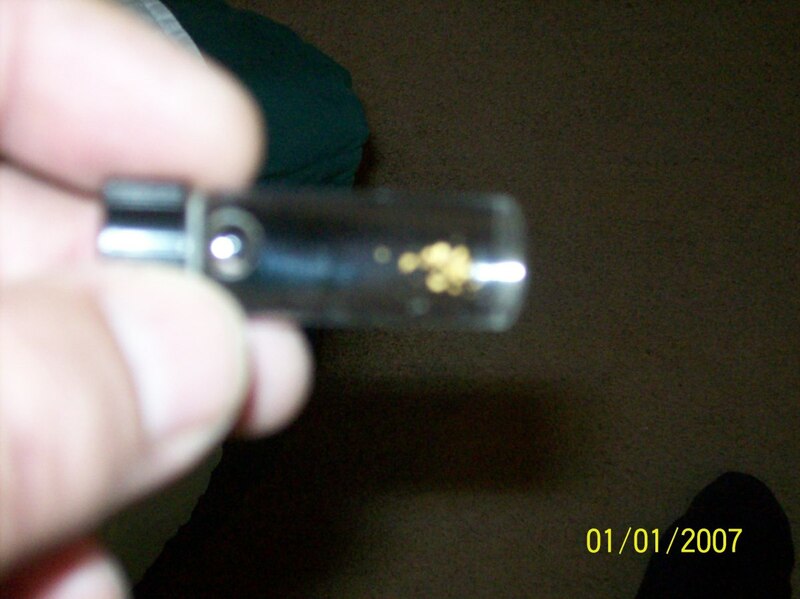 Others dig enthusiastically as soon as they find a sample with gold. When you start to prospect, I figure it is whatever you want to do. I think that this gives the first time amateur prospector information that will prove important on a first outing with a gold prospecting club. You can obtain this level of info just by talking to the other club members, but that can be hard since you have not already made friends. After a couple outings you will have made friends and shared information. Usually there is a club leader who is also a valuable source of information. From then on, you will be amazed at what you learn! May all your club claims be rich with gold! Every river in the world contains gold. However, some rivers contain so little gold that one could pan and sieve for years and not find even one small flake. The amateur prospector will not be able to determine whether gold is contained within an.. 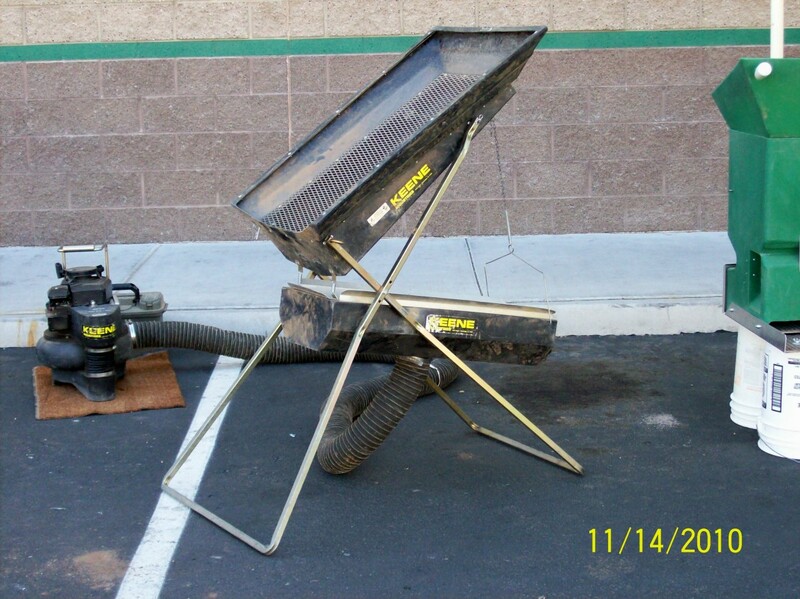 Think the cost of gold prospecting equipment is a bit pricey? Here is a site with a world of plans for making your own, FREE. Reference all kinds of thing you can build for your next trip to the claim. May all your nuggets be gold. 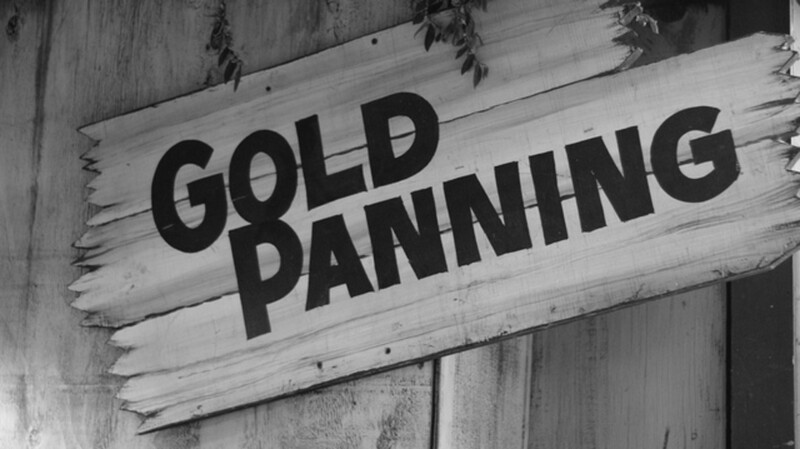 Where are the best places for gold prospecting? There is an old saying that if you want to find gold, go where it has been found before. If you are trying to determine a type of location, l would go to the foot of a mountainous area and look for signs of white quartz. Once I find gold, where do I take it? Nuggets are generally worth more than placer flakes. If you have a lot, you might want to see an assayer. A jeweler can smelt the placer into a nugget or ingot for you. Where is the best spot to find gold in the U.S.? Interesting question. In all honesty, I have found more placer gold at inside bends of Arizona arroyos at places where gold was previously reported found. In Arizona, Yavapai County is where I have found the most. There, the Bradshaw mountains are a good place. I found three rocks with my metal detector looks like some gold,silver and quartz do I crush them and pan them or keep them as nuggets? Where are you located? It is always a good idea to check things out with the authorities. In my country (USA), I frequently double check things with the Bureau of Land Management. Thanks for the question, and enjoy yourself. Good luck. I will just start gold prospecting but only for fun and spending the weekend. I will start in the highland river in my area, do I need to ask permission from the authorities? I agree with your observations. The clay sediment is very dry here in Arizona, for obvious reasons. It can be mistaken for just some sand wash. But soon after scratching, it is clearly identified. For some reason folks seem averse to inspecting the clay. I am not sure why. It has provided me with a lot of excitement at times. Thanks for stopping by. Good luck! Hello John. I recognize you from G+ where I am the owner of a prospecting community. I live and prospect in North Carolina. Particularly around the uwharrie national forest and surrounding Randolph and Davidson counties. I think the most important part of prospecting is the area and the make up of material. Clay. Clay. Clay. 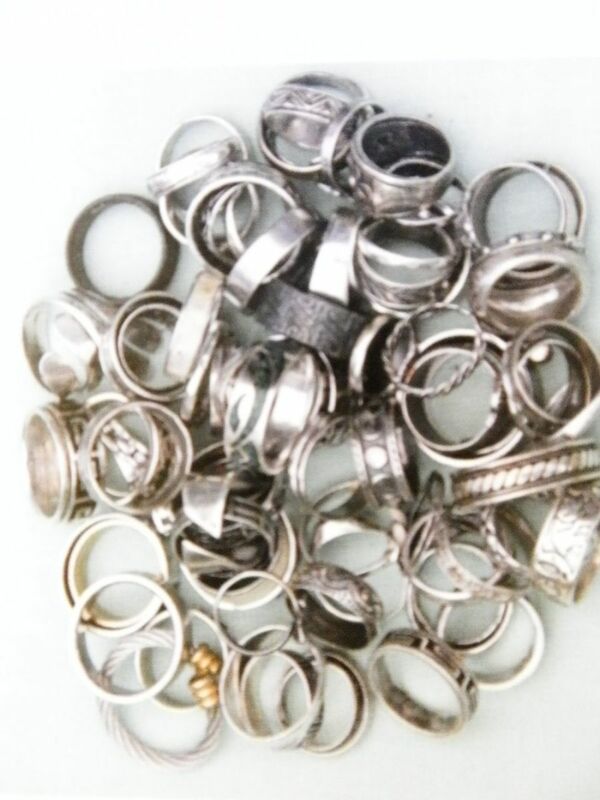 In NC most of the best placer gold is on top or in the clay sediments. Rhyolite decaying clay has been very lucrative for me. Before ever getting a pan wet, study the geology of your area. For example, out west is great for crevicing. Here, it's not as worth it because of the clay sediments. I have found gold in both places. It can collect on an inside bend rather well. Cracks in bedrock and depressions filled with clay on the downside are good sources also. I would shoot for the bends first. Thanks for the comment, and good luck. which is the best . if i found there near by water area down side in the water area or turn side water area. Thank you for your kind comment. Venezuela is rich in minerals. Best of luck to you. i am from venezuela..i like this article..it helps in some way..all thougt i am a miner..thank a lot. New Mexico can get pretty hot so take a lot of water, and let someone know where you are going. I would very much like to go find gold and crystals with you. I know a place called Origrandy NM. I am new to prospecting And enjoying every minute of it. I’m not out here to get rich but to find history in the making would definitely be a great testimony to my story. I have panned in small areas and have found small flakes to me I have accomplished what I set out but I’m trying to find places closer to my home I live near Texarkana Texas. Is there anywhere close to my location to pan for gold ? If gold was pushed up from the bowels of the earth in earth's primordial times, the melting point of iron and gold is important to understand. Each melts at a similar temperature and could come up together. Flake is not dense enough to be picked up. I suppose it depends on the detector, but it would have to be a pretty big flake. 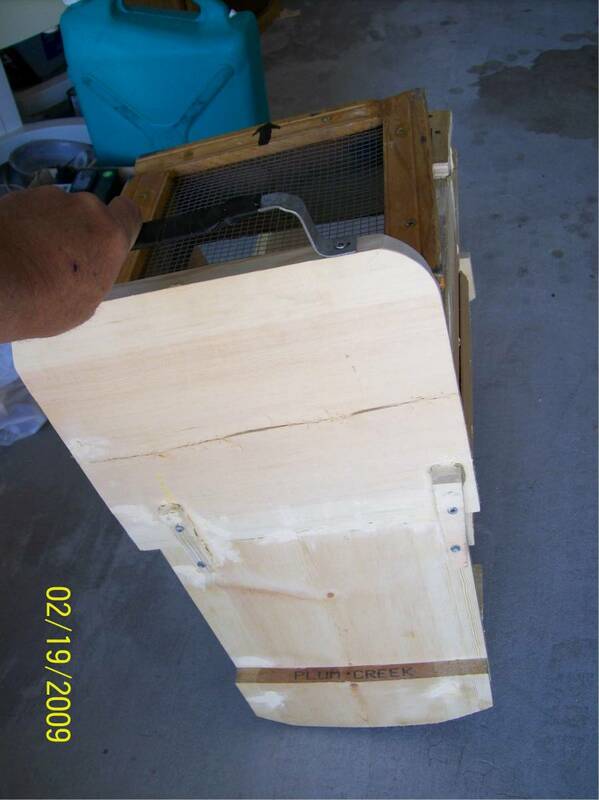 It will pick up nuggets and some pickers. My metal detector won't even pick up flake in a bottle. It isn't compact enough. Thanks for the inquiry. If that close to surface why not use Metal Detector ? You could do that, but you probably will just blow the material far away from you. Use safety glasses. If you do it, have a large tarp laid out (or two). I would try a star drill and use a 3 pound sledge hammer. Using a power drill with masonry bit would be better, but power is always a problem in the boonies. Hard rock mining is difficult and expensive. That is why I focus mainly on placer, and why commercial outfits have to have a really good vein to consider working. If you are in an area previously mined, try panning material at the bottom or entrance. I have picked up flakes this way. Can I use a chisel and hammer on a quartz vein with a signal from my metal detector in bedrock? As an Indian ,I'm still in behind of color with no big success only for my passion and interest. Do you thing ,Is there any chance in middle east part of India. I never get tired of looking for color. But beware. Once you start, you may never be able to quit! Good luck. Hard rock mining and placer mining are two different things. However, South Africa is rich in gold. If can search areas that drain from gold mining areas, perhaps you will have some success. If you know of gold areas in mountains, search areas that drain from there. It is a wonderful pastime. Best of luck. this is by far an interesting article i read, it got me real curious, i wanna try my luck in my country. People do get surprised when I tell them there is gold in their area. I believe every state has gold - including Rhode Island. It doesn't have to be commercially viable to be recreational and a pleasant hobby. The prices are good there, and might even be the best. Sometimes you can find used equipment (which is the way I went). But then, I was on a really tight budget. There is a company out of California named Thompson where you can buy a hand crank model, a bit more expensive, and then wait to upgrade with a motor. Thanks for the comment. This is so cool! I've done a little gold panning in the North GA mountains, and now I'm ready to do some more. We didn't do it "seriously" - our panning was more of an entertainment for the kids. On our next trip to the mountains, I'm using your tips! Voted up, etc. Thank you. 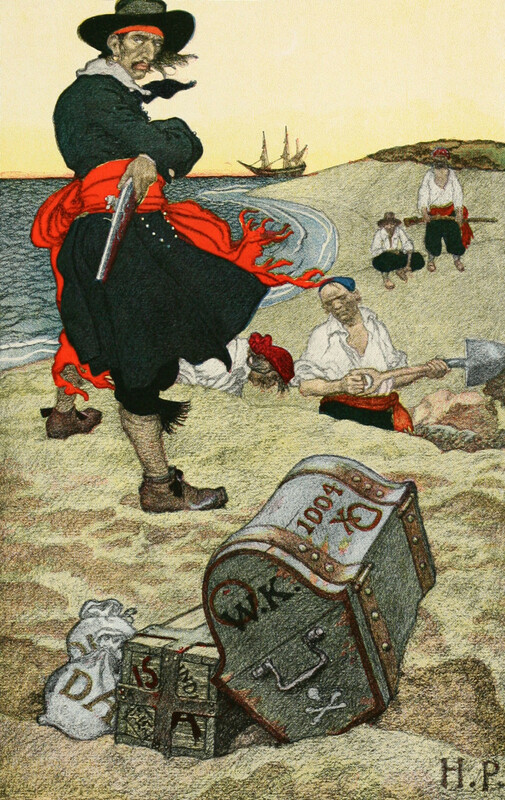 Hope you too can find treasure! Hmm... interesting. I am new to hubpages, but feeling good o be part of it! You described it good. Thanks for the comment. Yes, I guess the 49ers discovered how Nevada is a different geology from California. I wish there was a cheap way to crush rock! Great hub, john. Very informative and well written. I live in gold mining country here in northeast Nevada and have done a bit of prospecting myself. However here gold deposits are of the disseminated variety so a working knowledge of geology is a must. Very seldom will you actually see gold but with a bit of detective work ore bodies can be found. It is a fun hobby, but don't sink a lot of money into it at first. You will find that gold is VERY hard to find. Over the course of 3 years and many trips to claims I have accumulated 2 grams. That won't pay for my gasoline. But there is always the possibility of finding a great treasure. Thanks for the comment. This is inspiring. I will have to look into my area to see if there is any possibilities within travel distance. What a great hobby-- good luck with it! Great hub. Yes. I am a desert prospector. I cannot imagine digging in the snow. One time I watched a guy on YouTube prospecting in the winter in Wisconsin! I never thought about it - he is tougher than I am. Thank you. Having spent much of my childhood playing in and around a stream, I can see where this prospecting business would be so much fun! I love camping and fooling around in the water. But the guy out there in the snow? Ugh. Voted up and tweeted! Glad the hub was of use. It is amazing how you can pick up little tricks of the trade the longer you practice the search for the brilliant yellow. I don't know if there is a lot of placer mining in South Africa, but I am guessing so. Your country has so many rich lode areas that it would be interesting to explore alluvial areas at the base of mountains. Good luck. Having panned for gold in several places in the USA and finding some flakes I wish I had read this article earlier as it is very helpful and would have increased my chances.Thanks! A brilliant hub ;great work and enjoy your weekend. At the time I was living in Easley, South Carolina I did not realize that the stream on my property, the bottom of which contained black sand, could have been a good place to pan for gold! If only!!! John000: Prospecting is such a fascinating topic. Two of my great-uncles participated in the Alaska gold rush. One of my uncles was a mining engineer in Chile. 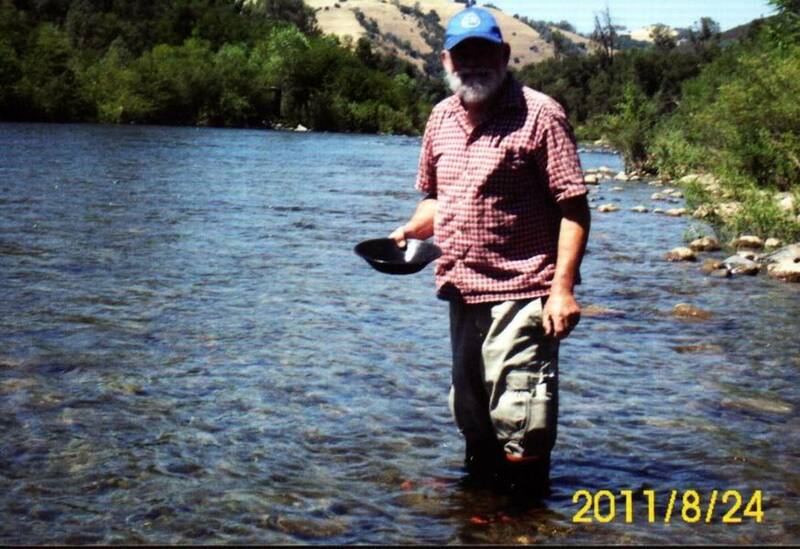 He loved to collect and share mining experiences and prospecting adventures. Great Hub John! Nice Info, Thanks !! I read a book published at the turn of the century by a mining engineer. His specialty was dredging. 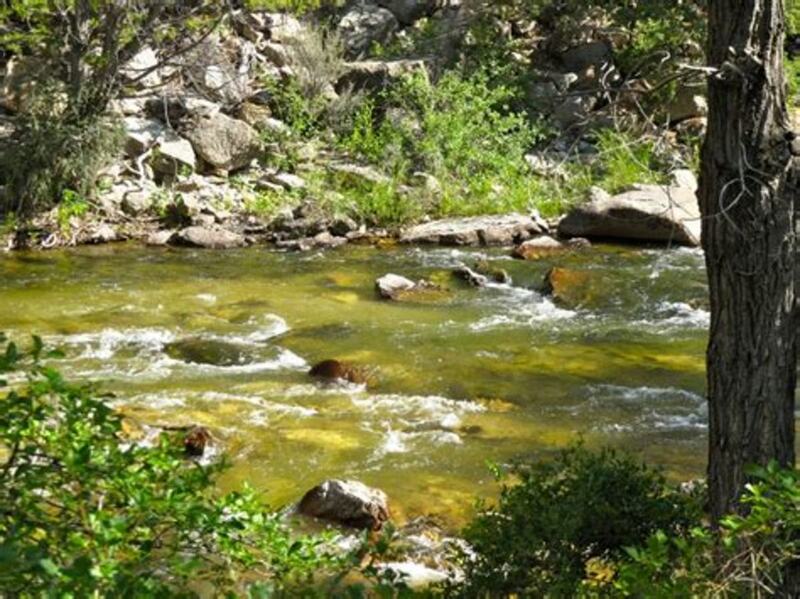 The Yuba river was an area as rich in gold as they come in its day. The machines they used are incredible. Maybe I'll get to the north fork someday. Thanks for the comment. Living in Northern CA. provides great opportunity for amateur gold panning right alongside the pros. Right after a heavy storm is great opportunity for finding those illusive little flakes...but watching the price of gold steadily climb...makes a small investment in equipment makes for a fun outing.